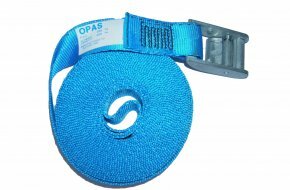 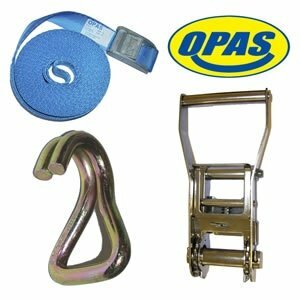 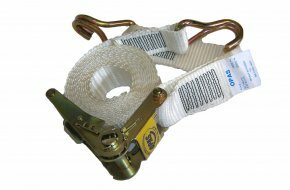 Securing cargoes of all kinds is not just a matter of economics but more importantly safety; OPAS supply economical top quality strapping and specialist equipment and hooks for all loading applications. 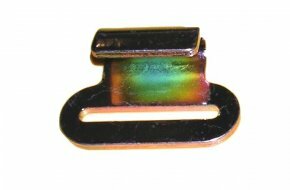 OPAS are also happy to supply ratchet and cambuckle assemblies in any size and configuration. 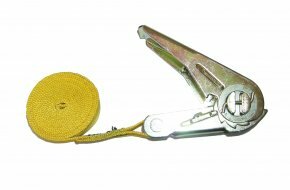 Please contact us and ask for a quote on your specific needs. 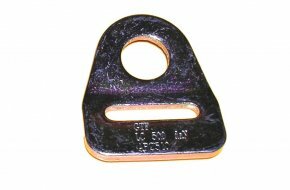 Anchor plate in zinc plated steel with 25mm aperture. 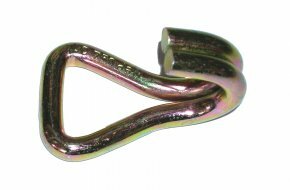 Claw hook in zinc plated steel with 25mm aperture and 750kg maximum load. 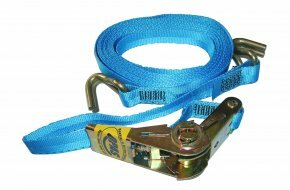 Zinc passivated steel ratchet assembly with blue endless hook to hook strapping; 50mm x 8m strap. 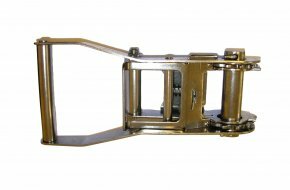 2,500kg SWL and 5,000kg maximum. 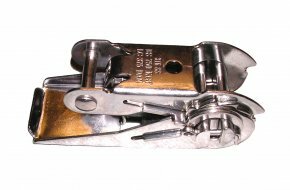 Stainless steel AISI316 ratchet assembly with 25mm apertures and 750kg maximum load. 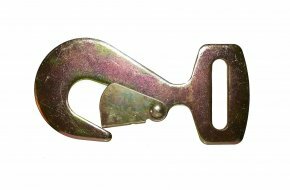 Heavy duty stainless steel AISI316 ratchet assembly with 50mm apertures and 2.5 ton maximum load. 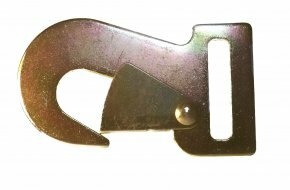 Tested parachute snap hook stamped AML 122 & ISS5. 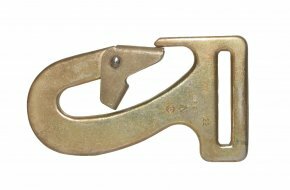 110mm overall length and 45mm flat strap eye.